USB 3.0 is around the corner, and it appears that one of the first peripherals to take advantage of the new specification will be a webcam capable of streaming uncompressed 1080p pictures to the computer. 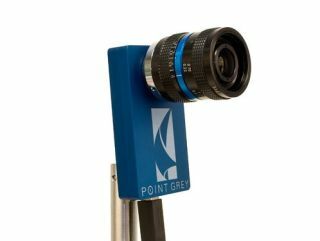 Electronista.com has details of Point Grey's HD video camera – which is expected to be given its first airing at the Intel Developers Forum. Apparently, the webcam can deliver raw 1080p images at 60 frames per second into the PC, which has a number of potentially useful repercussions. This is because the computer itself now gets access to raw pictures, bringing the potential for more accurate analysis and interpretation – aiding things like facial recognition as the program has a full set of information to work with. The camera is not the only USB 3.0 device slated for IDF, so we'll be keeping an eye on what else will be taking advantage of SuperSpeed transfers of up to 4.8Gbps.